Transparent correctors for prominent ears – nobody will know! Around 1 in 20 of us feel that our ears stick out too much. Having prominent ears can cause you to be self-conscious and lack confidence. 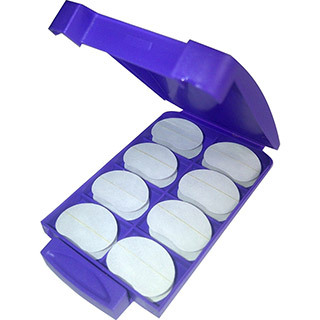 Surgery is painful, risky and extremely expensive - so why not go for the cost effective, pain free and effective solution that is Otostick Cosmetic Ear Correctors? You won’t look back! Discreet and painless, nobody will know that you are wearing them. You will feel confident and happy, while your wallet breathes a sigh of relief! Otostick cosmetic ear correctors transform your look! Otostick is a simple and effective solution to a rather big issue. They are a small, invisible silicone prosthesis which keep your ear secure and close to your head using a specially developed, hypoallergenic adhesive. They are discreet and painless to wear and require no prescription. You can use them continuously, or just for specific occasions. Amazingly, these hypoallergenic correctors can remain securely in place for up to 7 days if correctly applied. You can carry on with your life as normal and enjoy all your regular activities such as swimming. The ear correctors can be used as and when needed, for example special social occasions, going out etc. and are totally painless to remove. They have no side effects so you don’t have to worry about a thing! Otostick can be used from 3 years old and above so are perfect for the worried child to the self-conscious teen. Quick and easy to use, Otostick ear correctors have an immediate effect; perfectly pinning back your ears.